This lively dish gives a nod to buffalo chicken wings but without extra fat and calories. Start with a foundation of nutritious potatoes, naturally high in potassium, vitamin C, and fiber, and replace fried wings with shredded chicken breast and top with fresh tomatoes and onions. Don’t forget the celery sticks. Center oven rack and preheat oven to 425 °F. Place chicken in a sauté pan, add water, and cover. Simmer for 20 minutes and remove from pan; let cool slightly. When chicken is cool enough to handle, shred using two forks, one in each hand. While chicken is simmering, prepare remaining ingredients: Wash and scrub potatoes with a clean vegetable brush under running water and slit each one lengthwise about 1-inch deep. Place potatoes in a microwave-safe dish and microwave on high, uncovered, for about 10 minutes. Let cool slightly. Slice each potato in half length-wise, scoop out potato, leaving a ¼-inch shell. Mash potato together with hot pepper sauce, sour cream, margarine, and milk. Fold in blue cheese and shredded chicken. Spoon mixture into potato skins slightly denting center (to hold fresh toppings after baking). Place filled potato skins on a 9×13” baking sheet and bake about 15-20 minutes until tops are golden brown. Dice tomatoes and green onions. Cut celery stalks into four inch sticks. To serve, top potatoes with onions and tomatoes. Serve celery sticks on the side for scooping potato contents. Serve with an 8 oz glass of non-fat milk and apple slices (½ a small apple per serving). P.S. 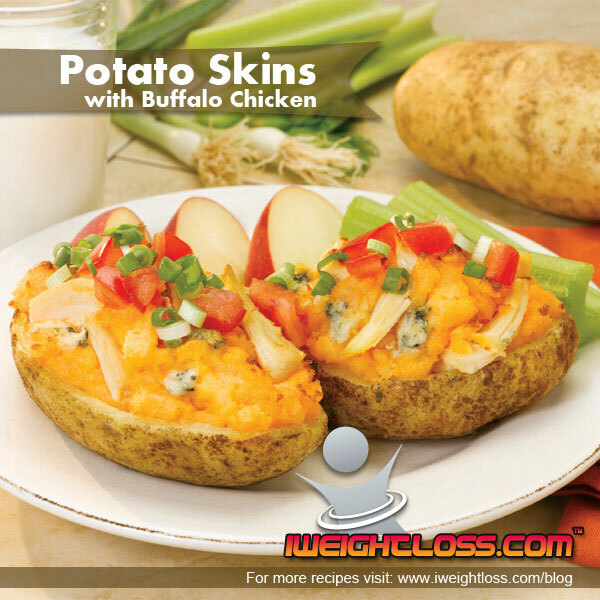 We recommend Body by Vi Shakes and Vi Crunch for breakfast and lunch followed up by a sensible dinner, like this Potato Skins with Buffalo Chicken Recipe. 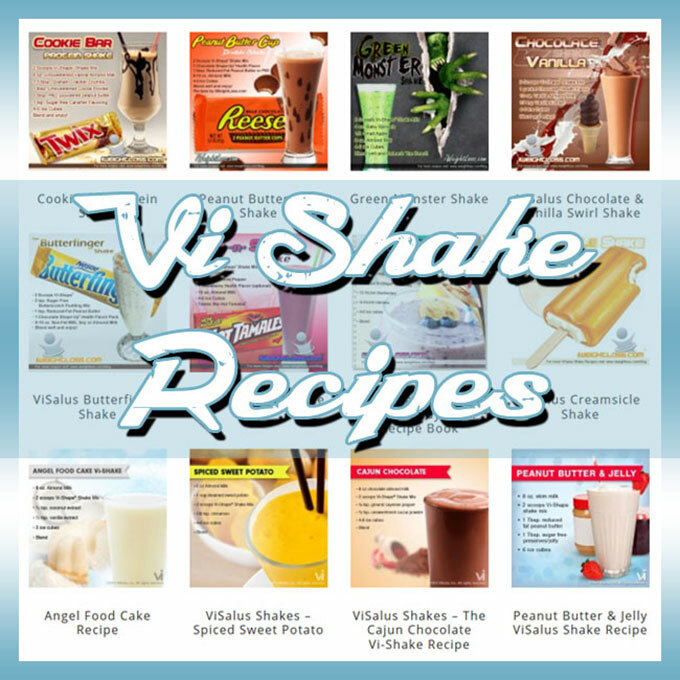 If you enjoyed this healthy recipe or have a recipe you want to share… comment below!